When Huanito Luksetic was arrested for growing marijuana to help him cope with multiple sclerosis, he could not have known his struggle would eventually pave the way for Croatia to legalize cannabis for medical use. "I knew it would happen eventually," says Luksetic, recalling the day in October 2014 when police burst into his home near Rijeka on the northern Adriatic coast, seizing some 20 kilos (44 pounds) of marijuana. "When they knocked on my door, it was a kind of relief," he admits. Released on bail soon after his arrest, he is now on trial for marijuana production and sale, although he was growing it for personal medical use only. If found guilty, he faces up to 12 years in jail. His case raised intense media interest from the start and triggered the October 2015 decision to legalize the sale of cannabis-derived products for medical purposes, with the medicines finally appearing in pharmacies in July. The decision saw Croatia joining other European countries such as Germany, Italy and the Czech Republic as well as a growing number of U.S. states which have all legalized the use of marijuana for medical purposes in recent years. Luksetic was a teenager when he first began showing symptoms of multiple sclerosis, a lifelong, incurable disease which attacks the central nervous system. After exhausting traditional medicine options, he, like many others, began seeking help through alternative methods. Despite trying everything from vein surgery to bee venom -- he endured more than 5,000 painful bee stings in a year after installing a bee hive in his room -- nothing provided any lasting improvement. And the symptoms were getting worse -- he was increasingly suffering from double vision, sensory symptoms and limping. Fearing he would eventually end up paralyzed, he redoubled his quest for an answer. The turning point was in 2011 when he heard a lecture by Canadian medical cannabis activist Rick Simpson. "I immediately realized the cannabis oil's quality was key and that I would have to make it myself," the 38-year-old told AFP. 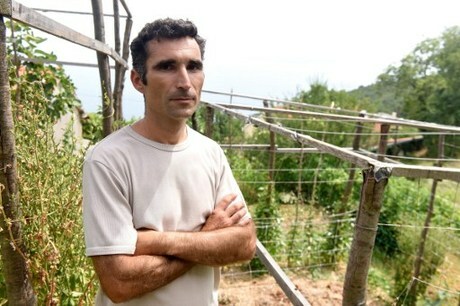 After planting his first seeds, Luksetic eventually managed to grow enough marijuana to create his own supply of cannabis oil. The effect was astonishing -- after three weeks of taking it, his muscle spasms and limping were gone. As he continued taking the home-produced oil, his health improved dramatically, to the point where he no longer displayed any symptoms. "I have the right to live, to help myself without hurting others," he says. And he has vowed to continue growing it, branding the case against him as "nothing but maltreatment of a patient." Many Croatians suffering from MS or cancer are known to take cannabis to ease symptoms, but without telling their doctors, who have traditionally turned a blind eye to the phenomenon. In late 2014 the health ministry set up an expert commission to review the issue, upon whose recommendations the regulation was drawn up. Speaking to AFP, Dr Ognjen Brborovic said it was Luksetic's struggle that brought about the change in the law. "If there was no Huanito, shouting against injustice and seeking help, nothing would have happened," said Brborovic, who headed the commission on the issue. After Luksetic's arrest, the authorities were left with a choice: either to continue arresting such people or to find a way to regulate the use of marijuana for medical purposes, he said. Since the regulation came into force, doctors can now prescribe medicines containing tetrahydrocannabinol (THC), the plant's main psychoactive ingredient, to ease symptoms associated with cancer, MS, epilepsy and AIDS. The medication, which is hailed for reducing pain and spasms, relieving nausea and increasing appetite, can be prescribed for up to 30 days. Over that period, the dosage must not exceed 7.5 grams, with the price varying between 130 and 260 euros ($145 to $290) per month, depending on the prescription. But the medication is not currently covered by health insurance, potentially posing another obstacle for patients. "These drugs need to be taken for life and price makes them unreachable" for many, warned Vladimir Komparic, a retired doctor and former head of an association for MS patients. Interest in medical marijuana seems to be high with many patients calling pharmacies for information, says Aisa Zanki-Zelic, a pharmacist in downtown Zagreb. She hailed the regulation as providing patients with a standardized treatment. "We know exactly what the ingredients are and their quantity." But it was too early to quantify the real demand after a shipment of capsules imported from Canada had to be temporarily withdrawn from pharmacies due to reports that oil was leaking from some of them. Despite the court case against him, Luksetic, whose mobile phone contains the numbers of hundreds of patients keen to find help, is actively engaged in promoting the benefits of cannabis oil. These days, he gives lectures and has founded an association called "Hemp Helps". And although the use of marijuana-based medicine is now legal, he says he will continue making his own cannabis oil, believing his home-made version is better quality and can be better adjusted to meet his needs. Regardless of the outcome of the case against him, Luksetic considers himself a "winner." "I'm cured at a level at which I do not have symptoms," he says. Sweeping his arm towards the garden in front of his house, he smiles: "This is my health."